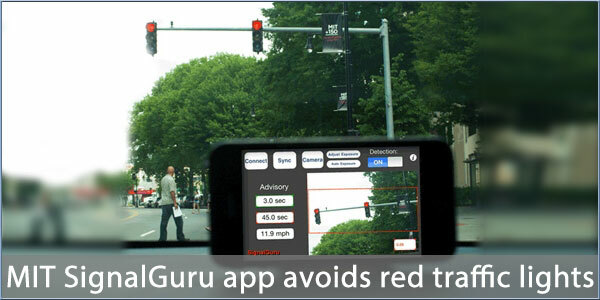 An MIT (Massachusetts Institute of Technology) research project uses images captured by dashboard mounted smartphones to collect information on traffic light patterns. The developer, visiting researcher Emmanouil Koukoumidis says that the app could also be used to capture fuel prices, availability of parking spaces and even bus route updates. Although Koukoumidis admitted that such a system requires a lot of users before the data can be useful but it's a novel, and potentially very useful use of smartphone and GPS technology.